Speed Every new browser generation improves speed. Compatibility Websites using new technology will be displayed more correctly. Comfort & better experience With new features, extensions and better customisability, you will have a more comfortable web-experience. Click here to download the latest version of your favourite browser. The Bloxham Investment Team has moved to Davy. All Bloxham Funds have been renamed as Davy, see below. Please click on the revised fund name below to access fund information as normal. It is your responsibility, as advisor, to ensure any information or documents selected to be included as part of the report are documents which have been approved by New Ireland and are appropiate for inclusion in the report. It is your responsibility, as Financial Broker, to ensure any information or documents selected to be included as part of the report are accurate and appropriate for inclusion in the report. New Ireland accepts no responsibility in this regard. Please Note: The report generation may take over 30 seconds. Selecting a custom date can increase the report generation times. 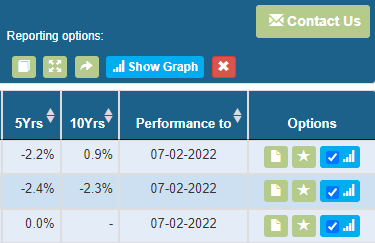 By selecting custom dates, the performance figures only will change date. Asset splits will still remain to the most recent data available. You have reached the limitations of this feature! A total of 15 funds and 5 fund comparison reports can be stored in your favourites. A total of 5 funds can be added to a comparison report at the same time. If you want to remove one of your favourites just click on the icon to turn it off. If you want to remove one fund from the comparison report just uncheck the checkbox for that fund. This site has been build using the latest technology to offer you the latest user experience. For better quality, functionality, and security, upgrading your web browser makes a world of difference. Please select one of the browsers above to take advantage of all the features that we have developed for you. Indicative performance information, valuations and other analysis is provided in good faith as an accommodation to me and solely for my own personal use and at my risk and should not be relied upon by me for any purpose whatsoever. Certain assets may not have a readily ascertainable market price or may otherwise be difficult to value. Indicative performance information may consist of pricing or performance data from sources BOIPB believe to be reliable. Data computations are not guaranteed by any third party or by BOIPB and may not be complete, accordingly, no guarantee is given in respect of the accuracy, reasonableness or completeness of such indicative pricing, valuation or analysis. Any assumptions and parameters used by BOIPB in providing indicative pricing levels, valuations and other analysis may not be the only ones which could have reasonably been selected, and accordingly, no guarantee is given in respect of the accuracy, reasonableness or completeness of such indicative pricing, valuation or analysis. No representation or warranty is made by BOIPB that any indicative return or performance will be achieved in the future. BOIPB does not give any warranties as to the accuracy, adequacy, quality, timeliness, non-infringement or title of any information for a particular purpose or use, and all such warranties are expressly excluded to the fullest extent that such warranties may be excluded by law. Prices or values may not represent (i) the actual terms at which new transactions could be entered into, (ii) the actual terms at which existing transactions could be liquidated or unwound or (iii) the calculation or estimate of an amount that would be payable following the designation of any early redemption or termination date under any product or any agreement governing BOIPB’s trading relationship, and BOIPB does not warrant their completeness or accuracy. Certain valuations are derived from proprietary models. Valuations based on other models or different assumptions may yield different results. BOIPB expressly disclaims any responsibility for (i) the accuracy of the models or estimates used in deriving the valuations, (ii) any errors or omissions in computing or disseminating the valuations and (iii) any reliance on or uses to which the valuations are put. In performing calculations of the present value of future cash flows for some instruments, it may have been necessary to make estimates about future market conditions. In these cases our calculations have been performed using BOIPB’s estimates of the relevant future market conditions, in accordance with our internal policies and models. No representation or warranty is made that any assumptions and estimates made by BOIPB in performing these calculations are accurate or adequate. I understand they have been provided to me in good faith and solely for my own personal use and at my risk and should not be relied upon by me for any purpose whatsoever.